Updated Feb. 6, 2018, 3:47 p.m.
Apigee is an API management platform that enables developers and businesses to design, secure, deploy, monitor, and scale APIs. This extension makes it possible for AppDynamics customers to monitor the performance of Apigee API proxies (or services as some people prefer to call it).Apigee performance metrics in AppDynamics will help customers to quickly isolate the root cause of a performance issue - whether it is Apigee's overhead and/or the backend (target) service. Response Time: Total number of milliseconds it took to respond to a call. 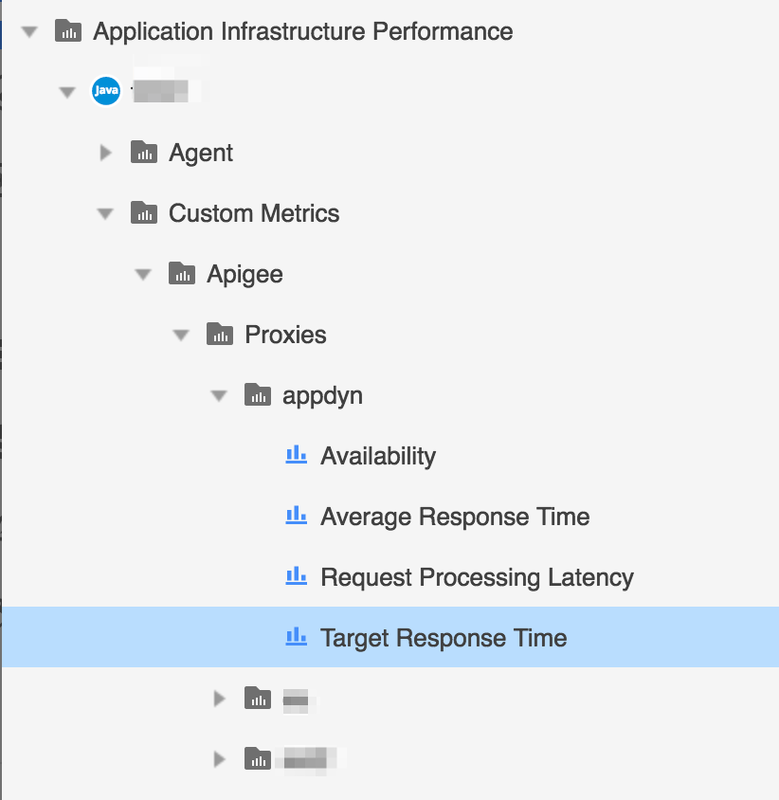 This time includes the Apigee API proxy overhead and your target server time. Target Response Time: Number of milliseconds it took your target server to respond to a call. This number tells you how your own servers are behaving. Request Processing Latency: Number of milliseconds from the time when a call reaches the selected API proxy to the time when Apigee sends the call to your target server. This extension works only with the standalone Java machine agent.